So you have this awesome, quality content and you firmly believe that your viewers would kill for it, but somehow the traffic landscape defined by hard data in your Google Analytics resembles a boring plateau rather than actual peaks announcing your successes. With no conversion, there is not much sense. I know this pain too well. Probably you are focusing too much on creating content and not paying enough attention to its distribution. The time has come to adjust this system. Preferably by changing it by full 180 degrees, starting now. 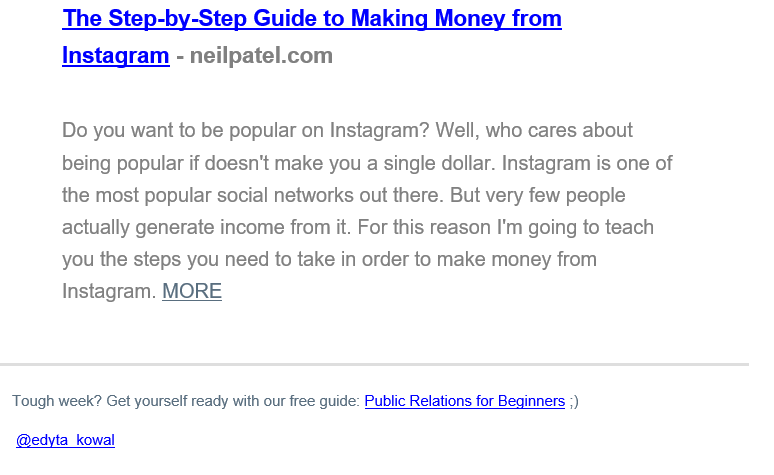 It’s probably not the first time you’re hearing about this rule that is repeated like a mantra by old content marketing champs—I’m talking about “The 80/20 Rule” which basically comes down to this: use 20% of your time to create content, and dedicate the remaining 80% to reach your audience with this content. And while at the beginning this may seem not entirely right to you, if you have a watchful eye and keep track of market news, you’ll quickly change your mind. Fine, perhaps in 2005 it was enough to write a good story, publish it on a blog, and maybe also on your Facebook page (no, it didn’t actually trigger an avalanche of views), and… wait for the news to spread by itself while your blog continued to be competitive. But look at it this way—now virtually everyone creates content. To give you a more graphic understanding of the situation, Netcraft estimated that in 2006 there were over 100 million websites offering content on the internet. In 2013, this number grew to more than 700 million. According to Technorati, there were 7.8 million blogs in 2005. And today? More than 170 million! This is precisely why now you should focus even more on creating unique content and publishing it less frequently. Target your efforts toward promoting your stories more efficiently than ever. How to go about it? I’ll show you a few tricks and tools which worked in my case. Give them a try, maybe they will help you too. First, create a content calendar. – how well did your content do? (In terms of views, engagement, shares). All of the above ideas are just a small piece of information that you can—and you should, if you don’t want to meander without a clear purpose—put down in your calendar. 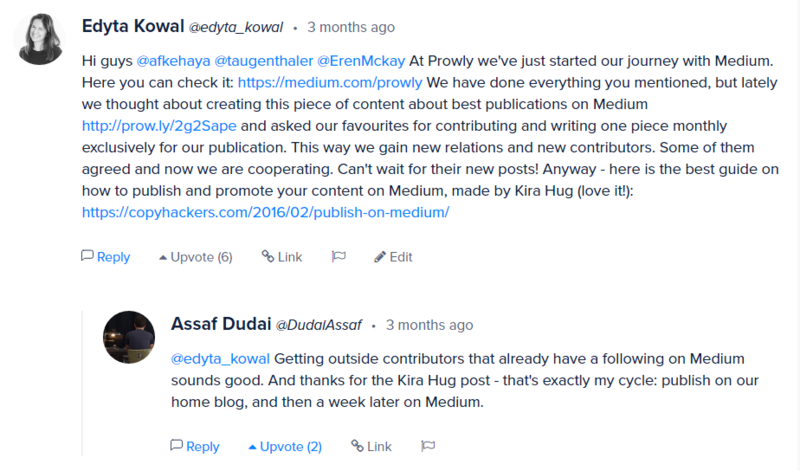 It will help you spot some gaps in your content marketing strategy, streamline your everyday work and reporting activities, and also support other teammates—in sales or customer service—like our colleagues, here at Prowly, who are happy to use the guidance materials published on Prowly Magazine. Don’t feel like creating such an extensive table on your own? For us, Google Docs is perfect for this purpose, but you can as well use the templates offered by Manifesto, HubSpot, or Curata, and adjust them to your individual needs. A simple WordPress plugin could also work for you, provided you have a blog hosted on wordpress.com. Your blog post is ready—time to share it with the rest of the world (“do the legwork,” as our American viewers always say). Most of us right now would share the same post on the company’s Facebook page, Twitter, and LinkedIn, and… go make some coffee while waiting for the magic to happen. No, this is not how it works. What more can you do? Quora is said to be a mine of questions and answers. Some people say that there is not a thing that wouldn’t have already been asked via this platform. And for this very reason they get lost on Quora browsing different topics for long hours or—if they can afford it—they hire people to handle this one channel for them. Just think how can you use it for your benefit. But before you do, let me inspire you with this interview with Oliver Emberton who mastered the art of promoting his product and content on Quora, which allowed him to make his book debut. What can you do? 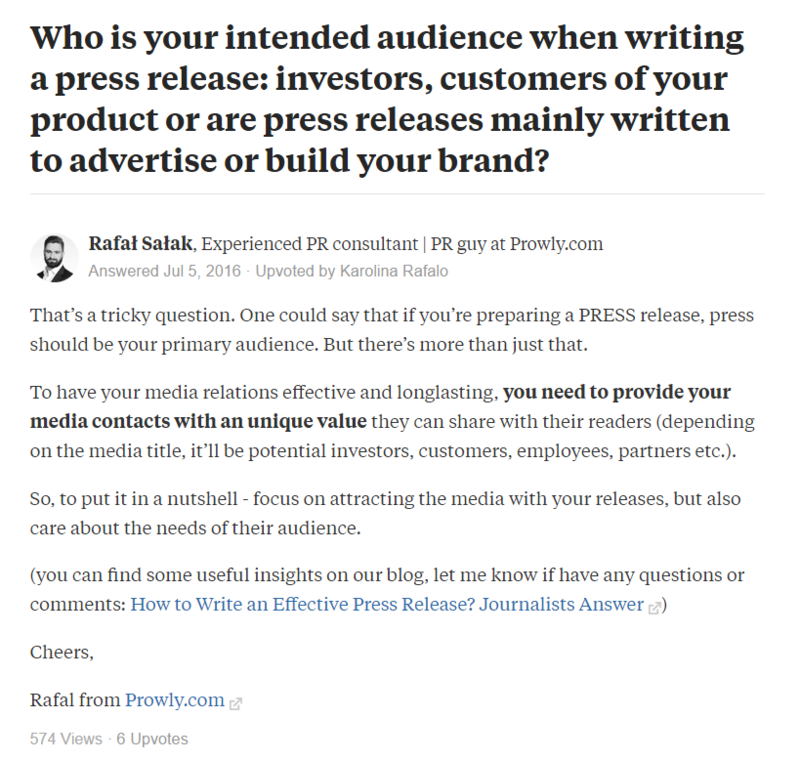 If, for example, you’re writing a piece on some interesting cases of content at the service of brands, check what those who are active on Quora would like to know about this topic. If any of the questions posted on the platform fits perfectly into the subject matter of your post, answer it, and link to your own blog. You can always post your own question and moderate the discussion. It’s not for everyone, but if you’re a blogger and you’re also into communication, Inbound.org offers many interesting tabs as well as an engaged community. In general, it’s worth to contribute on Inbound.com—your every post, comment or a thread you started will make your karma go up. The same goes for your reach. Share other authors’ stories every day, comment on them, and eventually build your audience. So, when a day comes when you’ll be ready to give your blog post a second life (e.g. one week after you’ve published it for the first time on your blog), use Inbound.org as another distribution channel or go ahead and publish a short sneak peak of your story under the right thematic category, or use a stratagem and post a question that fits well into the context of your post. You may also ask a friend who has far wider reach than you to share the link to your story via his account. 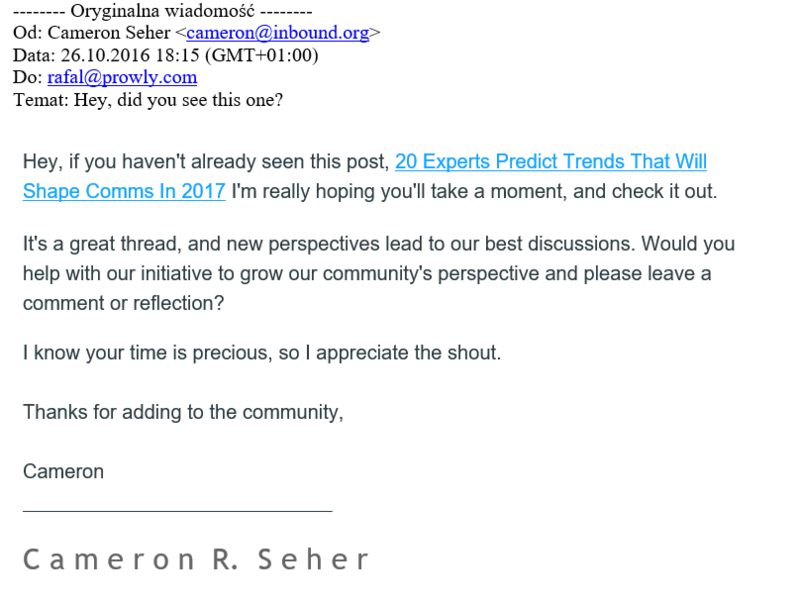 If you’ll be able to make some noise around your post, Inbound.org will reward you and put your story in their newsletter, which is sent out to thousands of readers or recommend it through their Community Manager, Cameron Seher, in an email blast dedicated to some specific target audiences. The moment when your colleague from the marketing team gets such an email delivered to his or her inbox is just priceless. Many of you forget about it, which is a shame. When was the last time you added a link that you wanted to share to your signature in email messages? Even if you’re a bit lazy and don’t feel like changing the CTA and Web address every now and then, at least insert the link to your blog’s main page in your signature so it’s there for good. Also, try to encourage your teammates to read and share stuff. At Prowly, we’re mainly using Slack for internal communication. Just imagine how excited I am when—thanks to the support of our product team—each time a new text is published on Prowly Magazine, a notification pops up on Slack’s main channel to inform everyone about a new story. Simple, yet very effective! You can do more with influencers! The moment when your content is liked and shared by an influencer with hundreds of loyal followers deserves a little bit of support. Interact with him or her, offer something different, but within a related topic. And do it by means of TweetDeck, if you want to quickly respond to such actions. 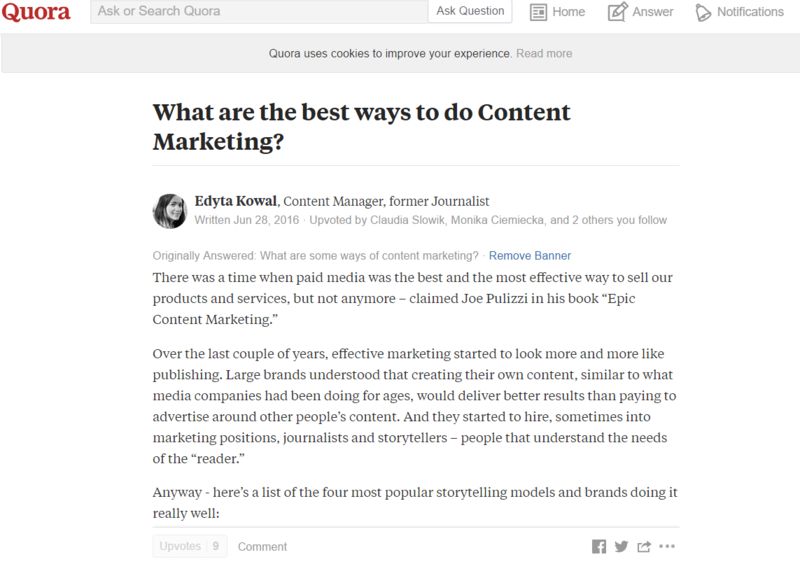 Or try the following combination: Buzzsumo + Contentmarketer.io, if you’d like an influencer who is interested in a particular topic that you also addressed in one of your stories to view your material and share it with others. 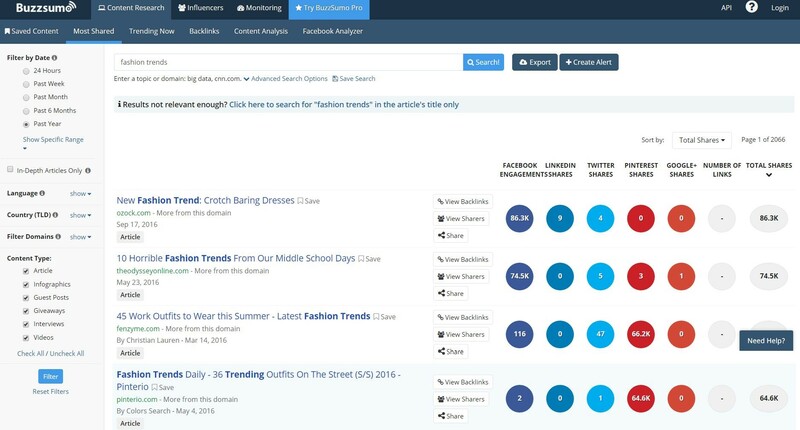 Just enter a topic of your interest in Buzzsumo, check who has a lot to say about it, export the list of Twitter accounts to a CSV or Excel file, and then “ask” Contentmarketer.io for email addresses of their owners. Then, send them an email. Be careful, though—don’t be too pressing, just introduce yourself, ask whether they’d be interested in reading your material, and only then—when they confirm—send them a link to it. The rules of etiquette are the same, anytime and anywhere. Even if the first wave of excitement over the content you published some time ago is long gone, don’t slow down the pace. Keep reposting, and to do so, use Medium or LinkedIn Pulse (BTW, the latter has lately been gaining a lot of popularity among content marketers and, what’s interesting, proves to be a great place for lengthy content). Above all, however, experiment with the form: create infographics, SlideShare presentations, e-books, and combine your articles into series. Reminding new users and readers about your “old” stories will help you score some extra points without any extra effort. In this way, your stories will perform much better for longer. 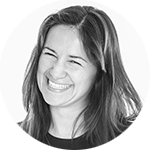 These tips provide only a basic outline of opportunities offered by content marketing. When handled responsibly and consistently from the very beginning, it will pay off over time, not only with a direct impact on sales but also by underpinning your brand’s image, which you can’t put a price on.